As it stands, Omega 3 is pretty difficult to get into the diet (much less if we’re eating excessive amounts of Omega 6). We want to be eating the most active forms commonly referred to as EPA and DHA; they provide the most benefits for our body. You find them almost exclusively in oily fish. 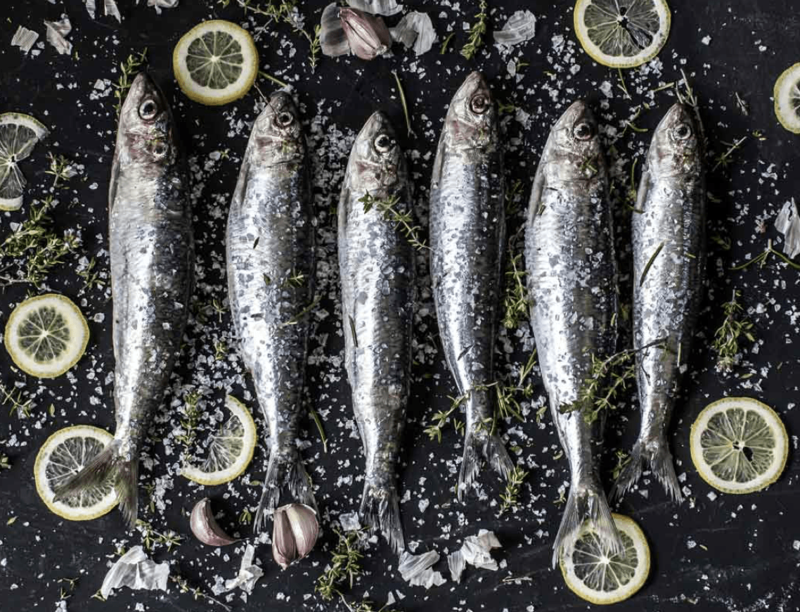 Mackerel, herring, sardines and anchovies… Basically all the types of fish most of us never think of eating. It’s a real shame. Omega 3 is super for supporting liver detoxification. It’s great for helping to expel toxins like xenoestrogens (a.k.a hormone mimickers). 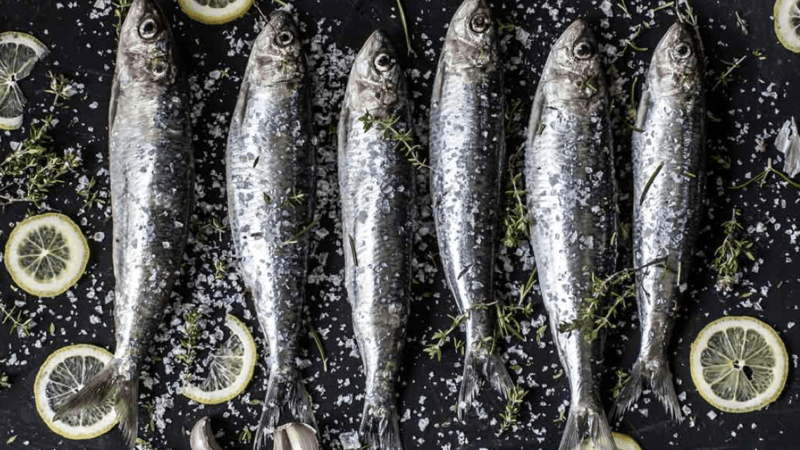 So, if you suffer with hormonal imbalances that are making weight loss all the more difficult (stubborn fat around the thighs is a sure sign), it’s worth upping your Omega 3. But that’s not all. Omega 3 has been clinically proven to help with the so-called apple shaped figures too (the dreaded belly fat). Tummy fat is usually driven by insulin resistance; a state of poor blood sugar control. Omega 3 increases cellular insulin sensitivity, helping to counterbalance the effects and reducing weight gain. High doses of Omega 3 help to shift our fat cells from fat storing to fat burning. I really could go on. But the real magic of Omega 3 and weight loss is in its epigenetic effects. That’s to say the effects it has on turning certain genes on and off. Not long ago, a study in Japan showed that high doses of Omega 3 help to shift our fat cells from fat storing to fat burning. We have three types of fat tissue. White, which stores fat. Brown, which burns fat. And beige, which is neutral – our diet and lifestyle can switch it either way. Unfortunately, as we age we lose a lot of our brown fat tissue, increasing our ability to put on weight. But the good news is, Omega 3 helps to switch beige cells into brown, turning our bodies into effective fat burning machines. But it’s not just about eating sufficient amounts of Omega 3. Eating other good fats in their wholesome form is vital for weight loss too. Fat is more calorie dense than any other macronutrient, which means it’s a great source of energy, without you having to eat too much of it. This is why some people find that it helps them to feel fuller for longer, curbing their appetite (goodbye midnight snacking). As if that’s not convincing enough, fat is critical for the absorption and utilization of certain micronutrients that our bodies need. Vitamins A, D, E and K are all fat-soluble. This means that in order for your body to use them, fat needs to be available when you consume them. It’s one of the reasons why I always recommend full fat options over reduced fat. Every time. Unlike their processed and inferior alternatives, full fat foods retain all these important fat-soluble vitamins. 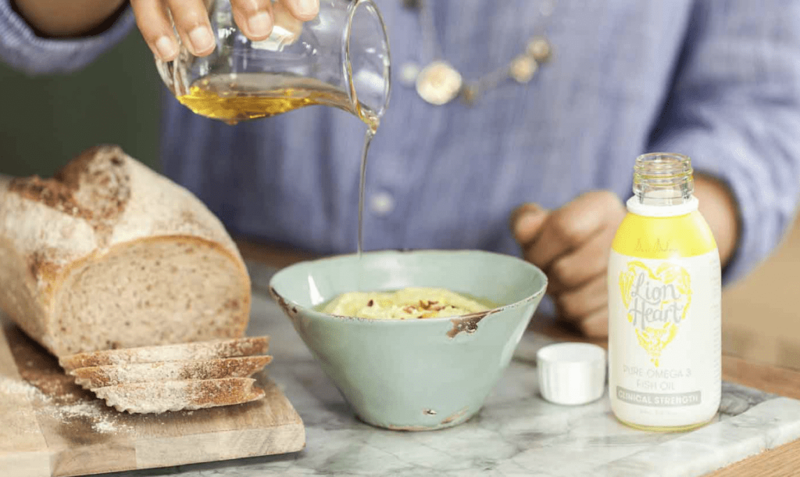 Most people don’t eat any oily fish, or don’t eat anywhere near enough, but one daily teaspoon of Bare Biology’s Lion Heart Omega 3 Fish Oil will give you a really high dose to kick start the fat burning. Written by Kay Ali, Head of Nutrition at Bare Biology. Ali is Head of Nutrition at Bare Biology. She has over ten years experience working in the health industry and is a Senior Associate Member of the Royal Society of Medicine.